Restaurateur and part-time P.I. Jane Lawless and her best friend, Cordelia, head north to help a friend on crutches. Tessa and her partner Jill run the Thunderhook Lodge, the premier resort on Lost Lake. And while Tessa clearly needs Jane and Cordelia's assistance, she isn't exactly acting all that grateful. Tessa has been on edge ever since a man who claims to be a journalist arrived in Lost Lake with an old photograph and some questions for her and her neighbors. He is looking for two aging radicals wanted for the 1960s murder of a policeman. After seeing the photo, Lyndie LaVasser calls Tessa in a near panic as she recognizes the woman in the photo--every time she looks in the mirror. Tessa knows all too well that we can't escape our own pasts and sometimes we get drawn into the pasts of other people. 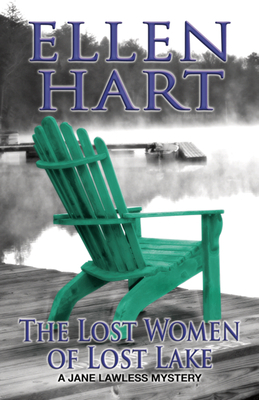 In The Lost Women of Lost Lake--the most engrossing mystery yet from Lambda and Minnesota Book Award-winning author Ellen Hart--Jane's only hope of protecting her friends from the secrets that are surfacing all around them is to uncover the whole truth before anyone else can. Ellen Hart is the author of twenty-five mysteries. She is a five-time winner of the Lambda Literary Award, and a three-time winner of the Minnesota Book Award for Best Popular Fiction.